Dan Mitchell decided to touch upon economic theory as a way to attack the current push for revenue increases, but his economics lesson seems to be very lopsided and I will explain why after this excerpt from Mitchell's post. 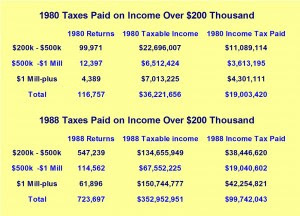 Mitchell argues that tax revenue increased because tax rates decreased from 70 percent to 28 percent and that the administration, wishing to raise tax rates, will effectively reduce the amount of money the IRS would collect. 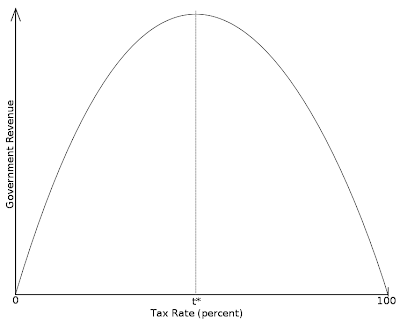 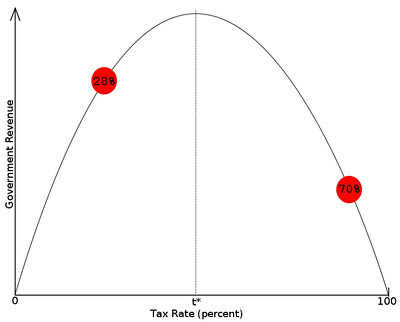 There is one problem with Mitchell's use of the Laffer Curve - while tax revenue may increase from a tax cut, cutting taxes too much would have the same effect as raising taxes too much. 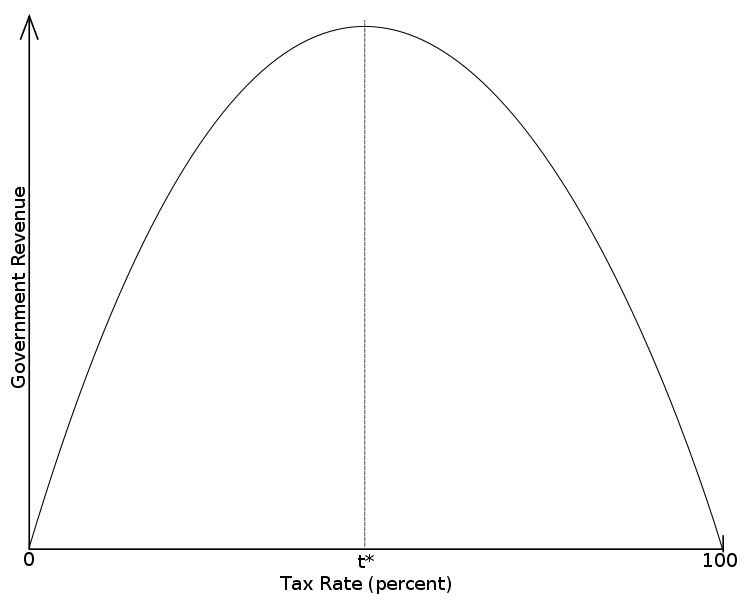 According to Mitchell's economic theory of choice, tax revenue would be maximized by utilizing a tax rate increase to roughly 50 percent (or theoretically any number greater than zero percent and less than 100 percent). 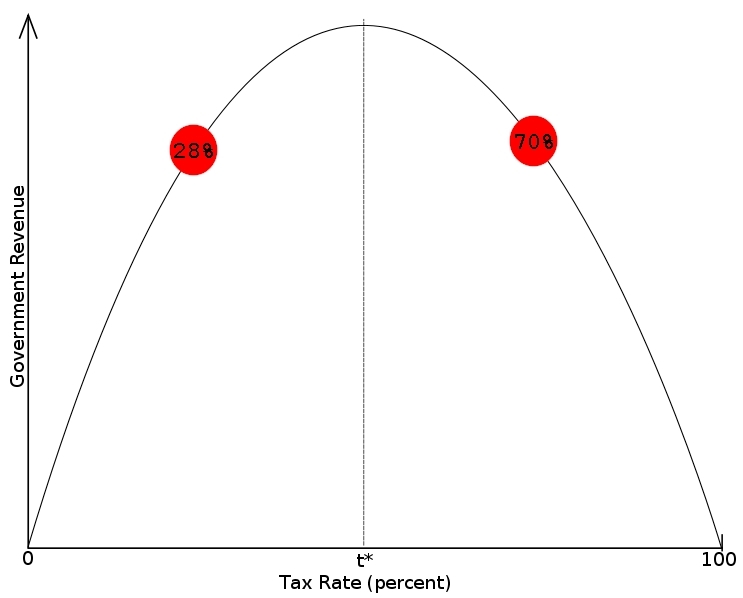 Considering the periods of economic prosperity in the nineties and that tax revenues dropped after the implementation of the Bush tax cuts, one could pretty much argue that a rate lower than 28 percent would not yield higher revenues. 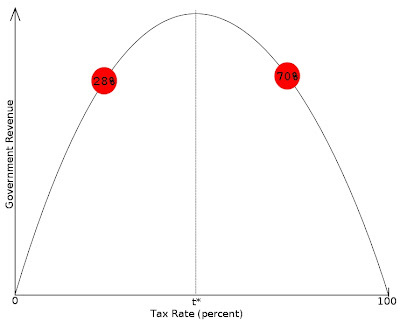 Why won't Mitchell admit that increasing taxes even a little bit won't hurt the economy?